Thanks, as always, to Susanne at Living to Tell the Story for hosting - even when we don't get around to "playing" much ourselves! I missed last week but am back this week. What am I thankful for this week? 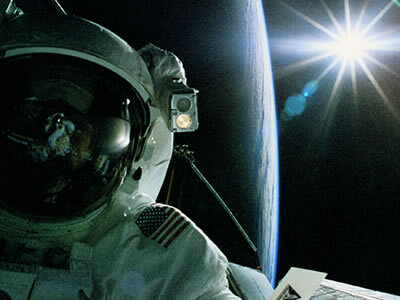 Today is Space Day, don'tcha know? I'm inviting you to participate in some way over the course of this weekend. There's a prize, of course, beyond the mere joy of participation! =D ha! In honor of the day, we've made some special and exciting plans which I will share with you on Monday. Because it's what I really want to do right now. Those are beautiful baking cups, but where did you find the gnome dishes??? I am a certified gnome-fiend (and friend...), and I love those dishes! I love those baking cups too. I haven't made cupcakes in forever -- but now I want to! I love the little gnome set! All the baked items look good, and I love those petal baking cups. My kids would have loved to have a space day when they were younger. Cute little gnome set. Did you ever hear of the Noddy books - British books about gnomes.I don't really remember much about them now, but I loved them as child. I could have used those sweet spring cupcake holders for my girls' spring cafe. They're lovely! LOL. Anything baked in those cupcake papers would be sure to be yummy! Your dishes are cute. 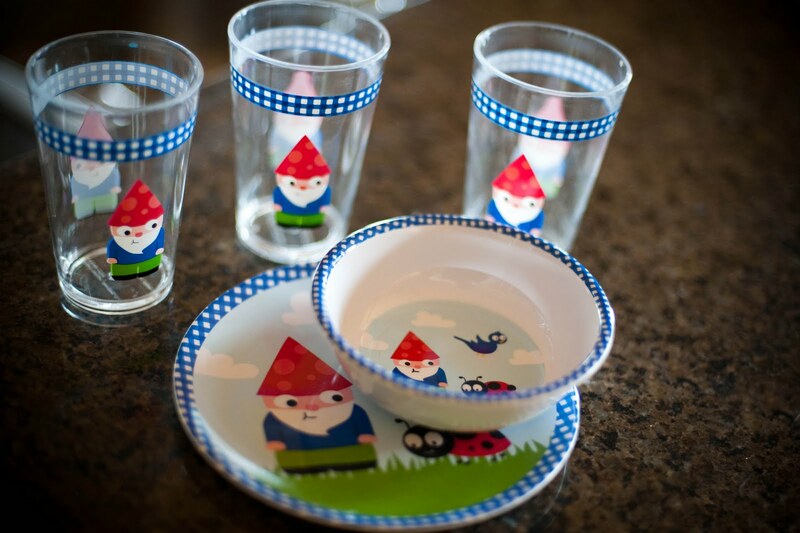 I have to say I have never seen gnome dishes or cups. Oh my! Gorgeous cupcakes!!! What's sprinkled on the plate? Chopped nuts? 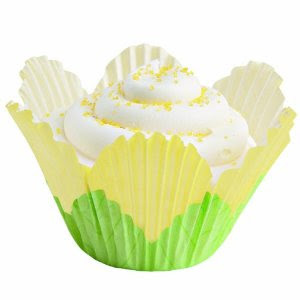 Also, I love the green and yellow baking cups. Novel! Happy Mother's Day (in the kitchen), Carrie. Oh, those cupcakes look good. And I love those little flower cups! Steven Curtis Chapman is one of my favorites. Loved the space day ideas! Happy weekend. Those are the cutest baking cups! I'm sure that any cupcakes baked in them would also be calorie free, right? 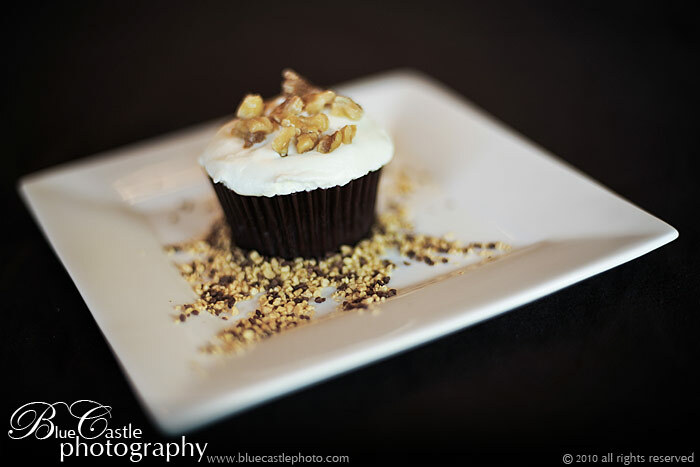 I would take a picture of a cupcake before I eat it too! I love the baking cups and the gnome cups are too cute! I hope you'll have a great weekend! Yummy cupcakes and cute plates. We had cupcakes and a birthday cake and ice cream this week in honor of daddy's birthday. Lots of fun activities this week! My daughter takes pictures of her cupcakes before eating them, too, so you’re not alone. :-) Yours look lovely. Those baking cups are adorable. Hope you're living out an awesome weekend!